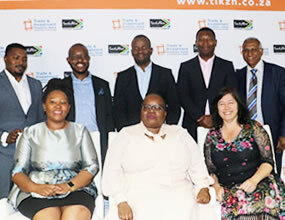 In a partnership with municipalities to support local businesses, Trade & Investment KwaZulu-Natal (TIKZN) hosted an inaugural roadshow in King Cetshwayo District Municipality today in an effort to bolster economic development and job creation. -Contribute to economic growth and job creation by facilitating access to essential economic information in all parts of the province. Richards Bay falls under uMhlathuze Municipality, within King Cetshwayo district which is classified as a special economic zone. There are several projects underway within the district, making it an attractive destination for investors who will contribute to opportunities for economic development and inclusion in the district. The King Cetshwayo district has the third highest population in KwaZulu-Natal. The district is characterized by low levels of urbanization; approximately 80% of the people live in the rural areas. The N2 highway links the district to other significant economic centres such as Durban and Johannesburg. It also offers a direct route to Maputo in Mozambique. The development of the Richards Bay Industrial Development Zone has boosted economic activities in the municipality and attracted international investors. âThe multi-purpose terminal is situated in the deep-water port of Richards Bay, on the east coast of South Africa, and is the product of the merging of two separate terminals, namely the Bulk Metal and Combi Terminals. The resultant integration of infrastructure and facilities has enhanced the terminalâs ability to logistically manage a variety of cargo types, namely break bulk, neo-bulk and containers. âThere are also plans in place to expand on the container terminals to increase the capacity of exportation of goods produced locally. This district is largely rural and the increase on exportation of agro-processed products will contribute immensely in the economy of the district. âRichards Bay Minerals (RBM) is a South African mining company and a subsidiary of Rio Tinto in South Africa which is located within the King Cetshwayo district. RBM's principal product is titanium dioxide in the form of an 85% pure titanium dioxide slag; the company also produces the higher-purity 95% titanium dioxide product rutile as well as pig iron and zircon. âRichards Bay Coal Terminal (RBCT) is positioned at one of the worldâs deep-sea ports. RBCT is able to handle large ships and subsequent large volumes. As such, it has gained a reputation for operating efficiently and reliably. The 276-hectare site currently boasts a quay 2, 2 kilometres long with six berths and four ship loaders, with stockyard capacity of 8,2 million tons. RBCT shares a strong cooperative relationship with South Africaâs national utility, Transnet, which provides railway services linking the coal mines to the port and shipping coordination of more than 900 ships per annum. âThree local municipalities in the district are located along the coast which also expands opportunities for investment in the tourism sector within the district, given the high volume of visiting tourists. Hence, the demand for investment in this sector is huge. âWe are therefore confident that the SMMEs attending the roadshow will benefit from the speakers and the panellists who are part of the roadshow programme,â added Cllr Mkhulisi. On doing business in the King Cetshwayo District, Cyril Mthethwa of Ngamla Guest House who comes from humble beginnings shared his inspirational story. âI started as a security guard at a retail store where I earned a monthly salary of R1 700. If you are not privileged to obtain a formal education, entrepreneurship is an alternative option to earn an income. 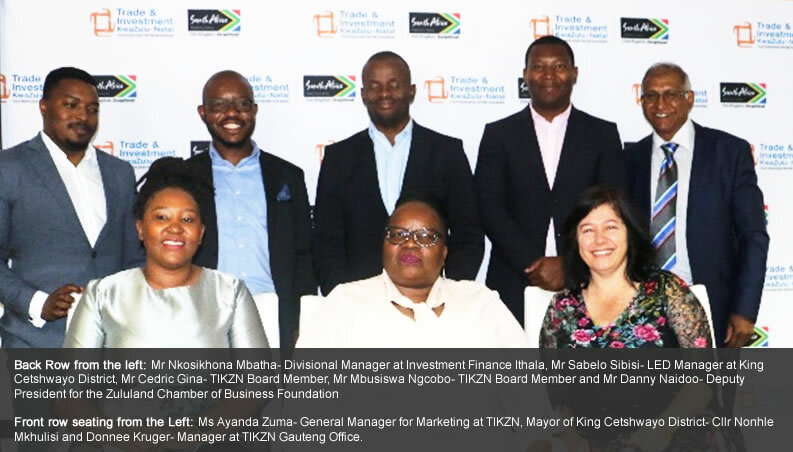 Ayanda Zuma, General Manager: Marketing and Communications at TIKZN said of doing business in the district: âAs an investment promotion agency, we understand better than anyone else the need to facilitate investment at a local level. âAttracting investors at a district level to facilitate investments will have far reaching effects on the economy and growth of the region. She said the One Stop Shop (OSS) would make it easier for investors to do business in the province and South Africa. Unlocking investment and business bottlenecks resonates with the theme Unlocking Economic Development within King Cetshwayo.